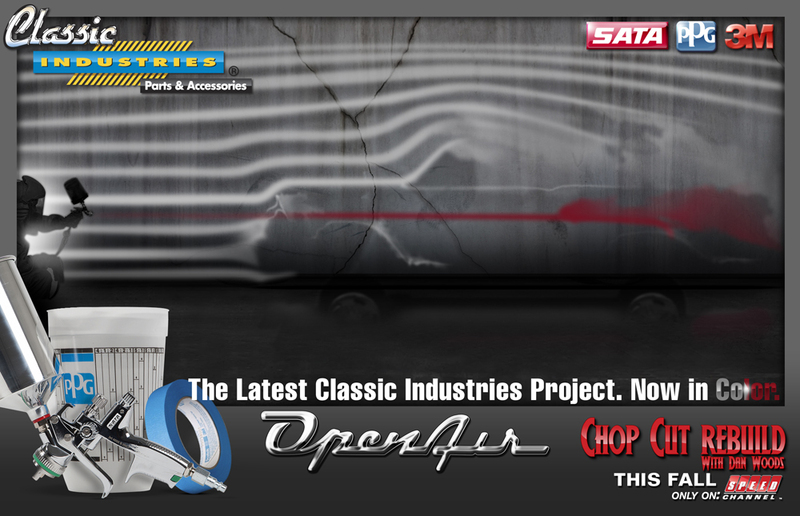 It was only last year when Classic Industries unveiled its most recent project at SEMA in cooperation with Chop Cut Rebuild, the 1972 Plymouth “Twisted” Duster. And it was only three months ago that they debuted their brand new catalog for 1955-57 Chevrolet passenger cars. Picking up quickly where it left off, Classic Industries has begun work on its sixth project vehicle, a 1956 Chevrolet Bel Air convertible dubbed “Open Air,” using parts from its brand new 1955-57 Chevy catalog. 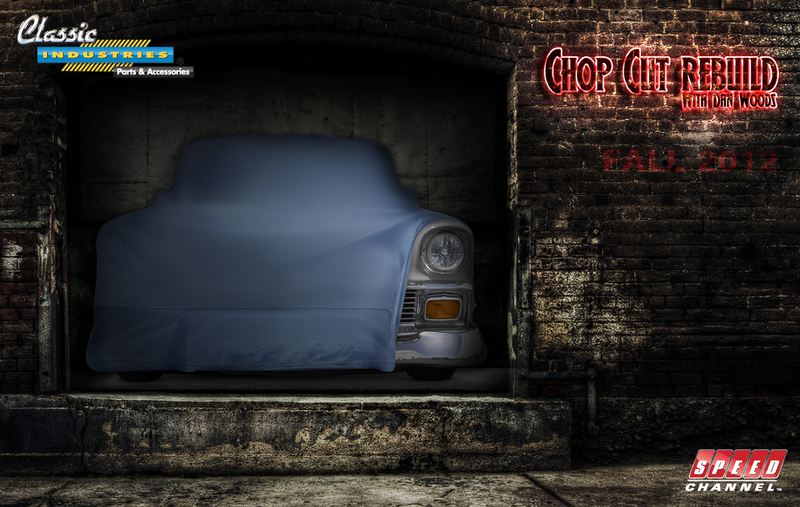 The build will be partnered with Chop, Cut, Rebuild and will debut for the show’s 9th season in Fall 2012 on Speed TV. For the build, Classic Industries chose to stay true to the Tri-Five’s roots; debuting in 1955, the new Chevrolet Bel Air featured technology, comfort, and power wrapped within a stylish package. Tapping top suppliers like Art Morrison for the frame, Real Deal Steel for a brand new 1956 convertible body, and GM Performance Parts for the healthy LSA supercharged V8 (as featured in the Cadillac CTS-V), Classic Industries will continue this theme whilst also re-writing the book on Tri-Five performance. The “brand new” 1956 starts with the parts you won’t see – the Art Morrison frame. This frame is built in the United States with the highest sense of quality and development. Leaf spring technology isn’t exactly cutting-edge, so Morrison developed their frame for coil-over shocks and a staggered-four link rear, which contains a beefy Ford 9″ with Currie internals. The result is a bulletproof method to get power to the pavement. But Morrison’s development didn’t stop there: The frame’s extra connectors required a rethink of the exhaust layout, so the frame has cutouts for 3″ exhaust so the tubing can pass directly through the frame instead of hanging low – dangerously close to notoriously gnarled roads of Southern California. But what good are all of these innovations if you cannot drop a custom engine on top of the frame? Morrison’s development department felt the same way, and offers engine mounts and headers for stock small blocks to big-inch big blocks to modern LS engines – in this case a supercharged LSA. 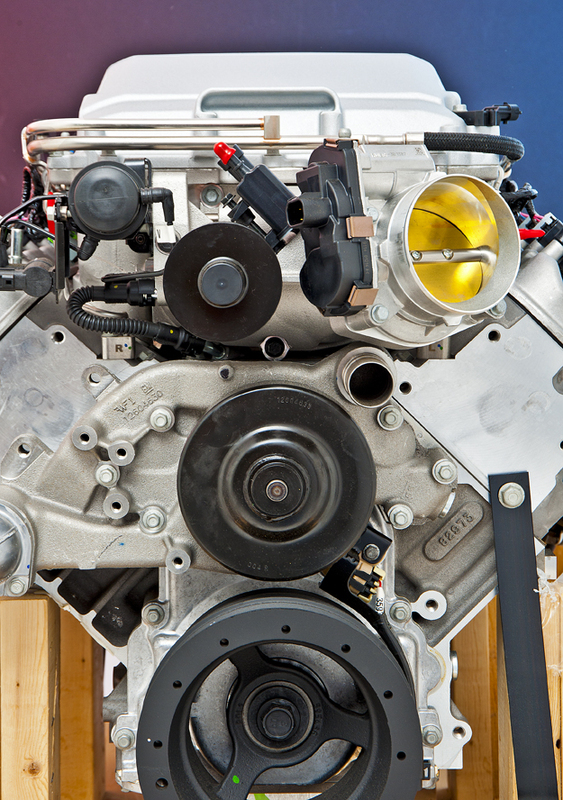 The LSA V8 was developed for the Cadillac CTS-V, made its way into the 2013 Camaro ZL1, and will provide locomotion for Open Air. Classic Industries collaborated with GM Performance Parts to give a furious heart of gold with a green tailpipe. GMPP wanted to prove the point that hot-rodding is not only alive but also breaking new ground, so they teamed the LSA with their new E-Rod series transmission and exhaust system for clean, efficient performance. GMPP believes its E-Rod series powertrains are the future of hot-rodding: all engines harness world-class power and efficiency in a single package. Engines are 50-state emissions legal, making them much more versatile than traditional hot rod engines even in emissions-choked California. With 556 ponies on tap, the ’56 roadster will be able to fly up and down the coast with liveliness. Mechanicals are one thing, but appearance is another. For this build, Classic Industries is employing the help of PPG paint, 3M painting supplies, and SATA spray guns to give Open Air some color. We at The Paddock are avid enthusiasts and, admittedly, somewhat purists, so we were skeptical about what a “brand new” 1956 Bel Air might look like. But we are optimistic from what little Classic Industries has leaked about the car’s appearance. The roadster will share the color scheme of the rest of the Classic Industries project vehicles, but may not share the two-tone characteristic that the rest have. We anxiously await the unveiling. 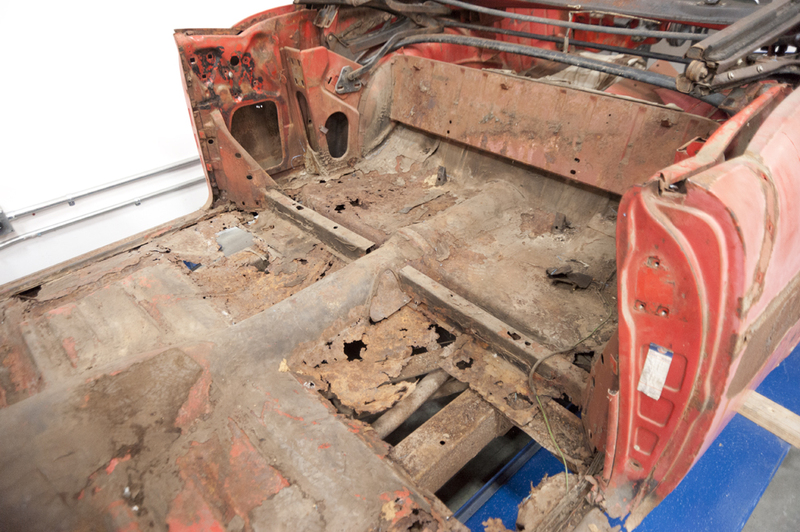 Under the undoubtedly red-and-silver paint, Real Deal Steel has provided a first: an all-new 1956 convertible body. 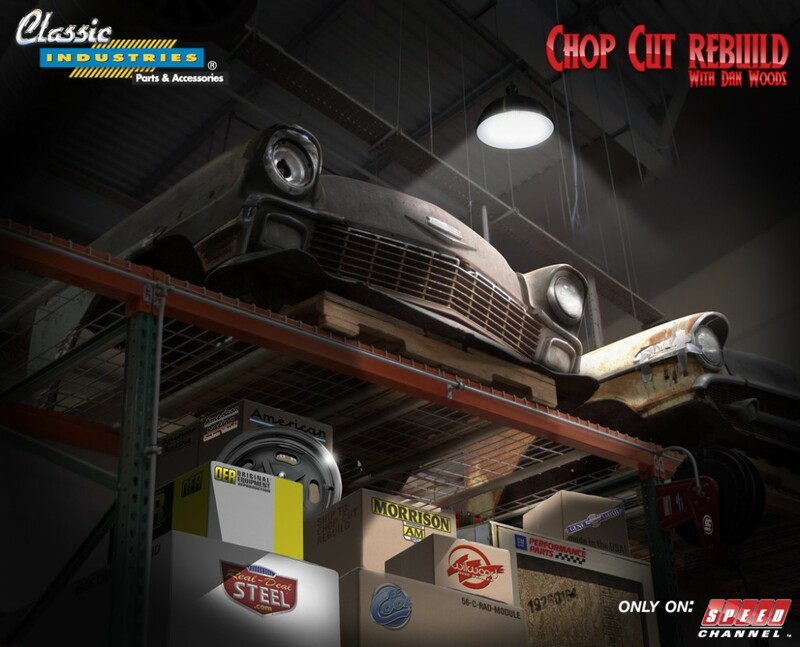 When we visited the set of Chop, Cut, Rebuild, it immediately became clear that Real Deal Steel had come through big; the original body selected to restore was so far gone. The Central Florida outfit built the body from scratch with brand new panels using 25% more spot welds than the factory. The result: a convertible body as taut as the rest of the car. Interior appointments at this time are unknown, but we suspect that ISIS Wiring will again make an appearance, presumably to provide the “brain” for the car. Original Equipment Reproduction (OER), a frequent supplier to Chop, Cut, Rebuild, will make a cameo as well. Newcomers include Gene Smith Reproductions and Glide Engineering will provide pieces specific to the ’56 Bel Air. We will provide updates as we get them. From what we know and can infer, it looks like the first brand new 1956 Chevy convertible in 60 years will be a great success. 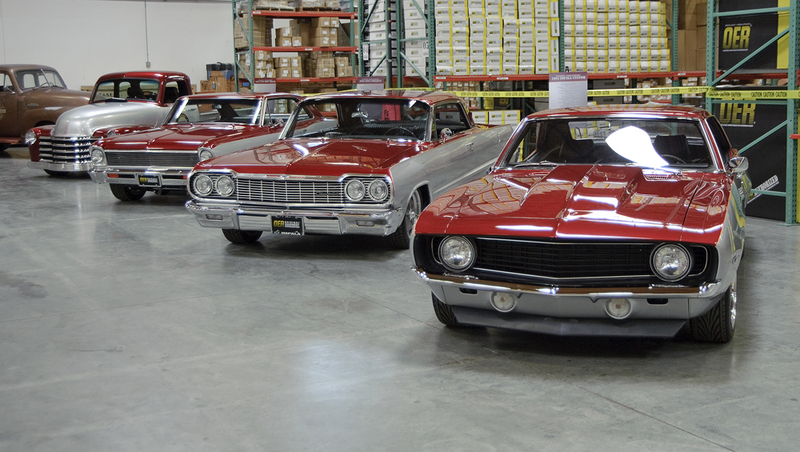 By combining the innovations of these separate suppliers into one vehicle, Classic Industries packs technology, comfort, and amazing performance into one stylish vehicle, as the Tri-Five did at its original debut almost 60 years ago. Special thanks to Classic Industries and Chop, Cut, Rebuild for letting us behind the scenes of the Emmy-nominated television program!